This mode of partnership pivots on utter confidence. It enables a company to represent InstaForex interests in a certain region or city. InstaForex adds information about the partners having this status on its main site; moreover, clients do confide more in partners qualified as introducing brokers. Another benefit associated with this type of cooperation is the opportunity to get an extra affiliate commission for services rendered. The additional commission is calculated based on the company´s turnover in a certain region. This type of partnership opens doors for additional profit without the need to invest anything, through boosting the customer base. The main priority of a trader-partner is recommending InstaForex to the relatives, friends, and acquaintances. This is the initial stage of building a solid business relationship. This mode of cooperation does not require any knowledge of online marketing, related experience or investments. At the same time, it may bring you a good extra commission comparable to that paid to large InstaForex partners. InstaForex offers customized conditions for investment projects, based on the principle of trust management. Such partnership provides vast opportunities for making profits and a wide range of instruments of attracting clients. Being an InstaForex partner in an investment project, you receive a commission from attracted investments. Besides, you are paid an extra reward, a percentage of the turnover depending on an investment amount. As a partner, you can register a trading account for the PAMM system, thus having the opportunity to receive a part of an investor´s profit gained from trust management. Opting for the investment project, you are given the official status of an InstaForex partner, a link to the monitoring page on the company´s website, and access to trading account statistics, which you can view as a manager. What is more, you are provided with a full package of related materials. This way of cooperation makes you both a partner and trader in parallel. Therefore, you will have grounds for speaking about the broker´s advantages referring to your own experience that is extremely important to fulfil your marketing task. This is the perfect option for anyone running a website dedicated to finance. Enjoy smooth and profitable collaboration and income from your website regardless of how many visitors it attracts. Be sure, InstaForex ensures you the best terms of partnership! This program is aimed at those projects, which introduce beginning traders to Forex. Having entered into partnership with InstaForex, a lot of educational projects boosted their revenues by 80-100%. The idea of this partnership is to obtain an official status of an educational project accredited by InstaForex. Partners are also entitled to commissions from trades carried out by clients of a training center. Joining the Educational project, you can receive a training course and use all materials presented on the website. Sometimes, clients bring a training center proceeds for several years, even after they have completed their learning. 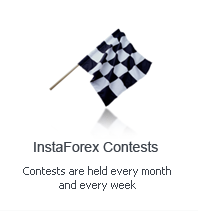 Projects for online exchange can bring extra revenue in case you enter into partnership with InstaForex. Offering depositing and withdrawing services as local transfers at InstaForex, exchangers step up their turnover. The customer base expands owing to active clients of InstaForex. Besides, an InstaForex partner working with an exchanger can receive a commission from every deal of an attracted client. After a client deposited an account just once, he keeps on trading on his account, thus bringing the exchanger revenue. To attract clients, you should place an affiliate link or InstaForex banner on the exchanger website. VPS hosting is a unique program of cooperating with InstaForex. Any partner having a virtual private server can offer web hosting accredited by InstaForex and get an additional affiliate commission. Nowadays, a lot of Internet users keep their online journals. They are aware of this great opportunity to address their readers, deliver important information, and share ideas. Apart from it, a blog is also a source of income. Cooperating with InstaForex as a blogger, you will enjoy full support of the Partner Relations Department and the best conditions among all brokers. If you are seeking a source of main income or extra earnings, selling trading signals is an excellent solution for you. This mode of partnership with InstaForex will ensure a stable income by referring clients. All you need to do as a partner is place marketing materials and informative products on your web portal. Another way to get additional profit is selling expert advisors online. It will enable you to refer clients, who will bring you steady proceeds. InstaForex provides its partners in this project with marketing instruments and related materials, which should be posted on a partner´s web resource. The CPA project (Cost Per Action) is a new mode of partnership. Every new active client of CPA partner makes a single payment, which depends directly on a size of the first deposit. In this case, either a trade volume or commission value does not matter. The main advantage of the CPA program is its simplicity. This kind of cooperation suits perfectly webmasters as well as specialists in search promotion and Internet marketing.